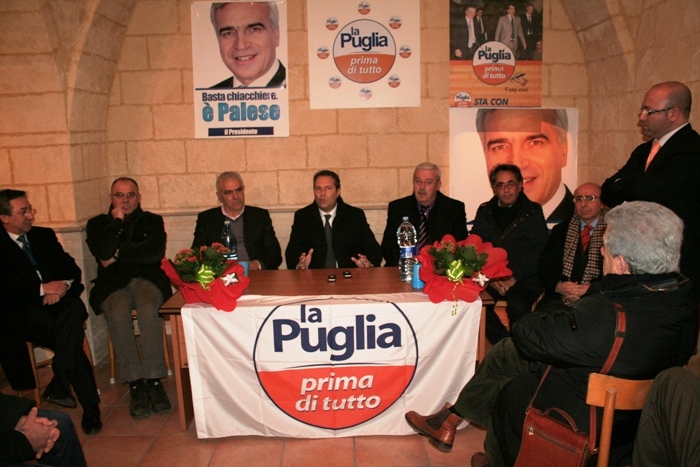 PPdT is a center-right regional party in Puglia, founded in 2005. It is very close to the PdL. The party currently holds 3 seats in the regional parliament. The party symbol is divided white over orange, with the party name spread over the two parts. The flag is white with the symbol [1,2].